There is a large body of articles and various forms of evidence which support the mental and physical benefits of getting massages. The vast majority of these focus on the benefits of receiving a massage, however, a new study suggests that for couples, massaging your partner can have a positive effect for the massager as well as the partner getting the massage. The study from Northumbria University in the UK studied couples over three weeks and found that both giving and receiving them led to reduced stress and increased feelings of wellbeing for both partners. The popularity of massages continues to grow worldwide with almost one in five getting massages in 2016 in the United States. Of these, about half said it helped alleviate some sort of pain and improved wellness or helped with other issues. About a quarter said it reduced stress too. The majority of these respondents likely got their massages from professionals because that is the typical thing to do with almost 62% of massages getting done at spas, massage parlors, or a physical therapist’s office. This new finding offers perhaps a better way to get massages if both partners are willing. It can be financially beneficial compared to getting them from others and it may also improve intimacy. Learning to properly massage may be a good investment for couples interested in this sort of thing. Further research should be conducted to verify the findings of this study, which looked at 38 people in 19 couples over 3 weeks. It will be interesting to see if this also extends to non-couples, or whether it is something about the relationship that might be driving the mutual benefits. This is plausible given that couples typically want their partner to be happy and feel good, so seeing them that way may, in turn, help them feel better and happier as well. This study is the latest in a wide body of new studies which have looked at massages and their impacts in various scenarios from a scientific standpoint. Other studies have looked at things like recovering from athletic events, improvements in mental function, changes in blood flow, and injury recovery time after massages. Larger randomized controlled trials should be conducted in order to verify these results before prescribing them widely in medical practice, but the safety profile is good enough for most people that they can likely get massages (or now give them) and see if they notice a benefit in themselves. It is always optimal to talk to your doctor or physical therapist if you want to see whether massages can have a clinical impact on you if this is possible (although you probably do not need to schedule a special meeting for that unless you have some other condition that makes that a good idea). Massages are growing in popularity for a reason and the trend is likely to continue as research such as this one support the use and as a culture in general starts to better value wellbeing, relaxation, and meditation. New to Running: Is a Massage Right for You? 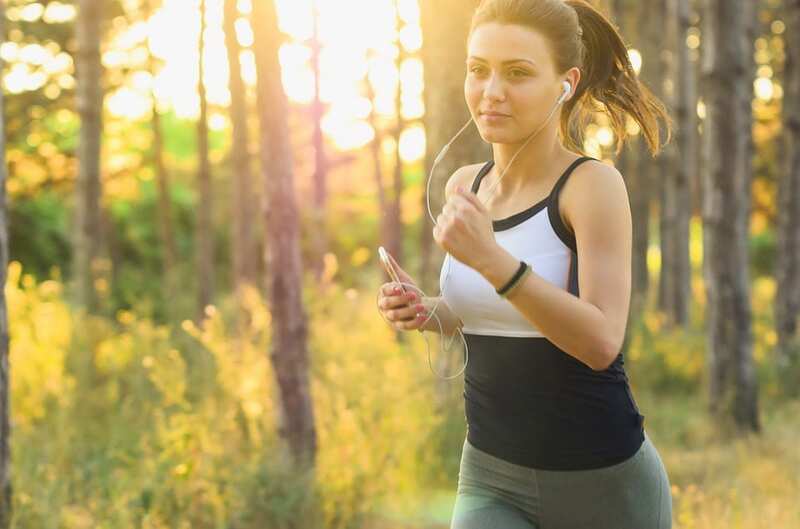 For many athletes, but especially runners and those that do long distance jogging alike, such strenuous exercise can have a serious toll on the body, from physical weakness to soreness, and even strains, sprains – or worse breakage. However, have no fear, as most if not all of these injuries can be prevented! In fact, that’s exactly why a massage for runners can be so valuable. And, while it might sound silly or unusual, even the most professional, successful athletes can tell you and attest to regular messages being key to both performance and recovery. Getting a deep tissue or ‘sports massage’ regularly when physically active in sports can be very beneficial to both your physical and mental health. 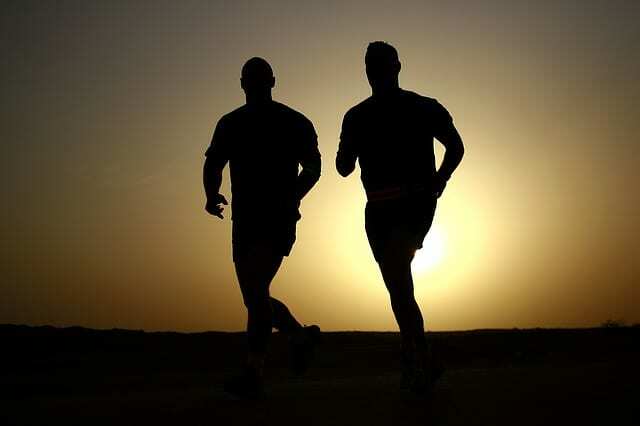 One of the greatest benefits of a massage for runners is the positive impact it has on the overall cardiovascular and circular system. You see, how and when blood – with oxygen – and other nutrients is delivered throughout your body, into your muscles, will heavily dictate likelihood of performance, recovery time, and ability to do better the next time you go out there. Muscle tightness and range of motion will also be greatly improved over time with regular sports massages, but consistency is key. A connected benefit to regular massages is that it can also help to motivate your body to more rapidly expel unwanted metabolic waste – and other unneeded acids. In fact, many pains, aches, and other soreness frequently associated with such waste can be eliminated, providing you with a smoother, and faster recovery. For athletes, especially bodybuilders, a message is likewise extremely variable. Similarly, that is, for its same muscle-restoring, strengthening, and injury-preventative properties. Just know, and try to keep in mind that there are various types of massages – and masseuses- therefore it’s critical you ensure you are going to the right, licensed, and experienced sports masseuse or physical therapist that’s going to give you the right kind of deep tissue massage. When done correctly, it can also promote muscle repair and growth which means bigger, faster gains and performance. Lastly, and this is often overlooked, but a regular massage for runners helps to ensure they are properly prepared or are ‘stretched out’ prior to any major race or competition. So, don’t ever underestimate the preventative value of a sports massage. Ideally, if possible, try to go with a licensed masseuse that is recommended by your physician or another massage specialist. Remember, getting a massage doesn’t have to be every week – or even every two weeks for that matter. Depending on you and your current physical activity levels, it’s never too late to start getting regular sports massages. 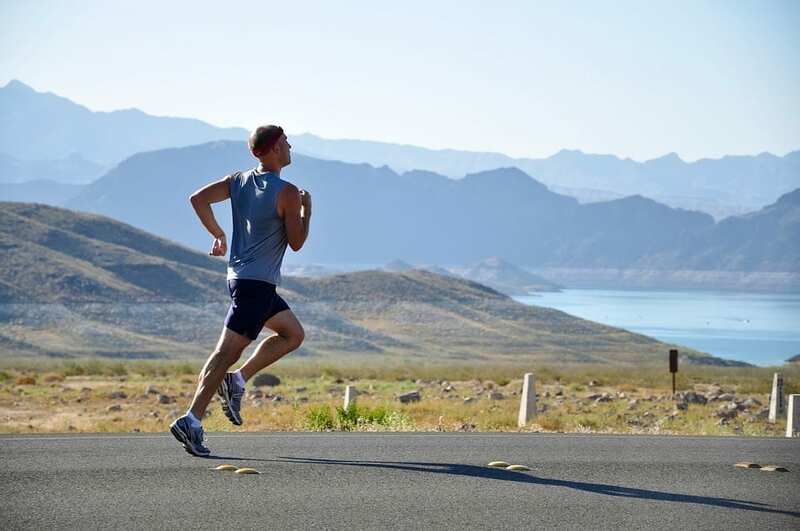 NOTE: If you think you may already have an injury, have recently hurt yourself running, or during another physical sport or activity it is recommended that you first seek medical attention and care before getting a massage for runners. Massage is an ancient art that continues to live on and grow in popularity as a type of alternative medicine used to promote wellness. The societal conception is primarily of massages as a method for relaxation, but a growing body of evidence shows that the effects go much deeper than just that. There are many different people who can benefit from regular massages, but one group in particular that can gain a lot of synergies from the soothing activity is athletes. First of all, massages loosen our muscles and are akin to stretching in many ways. This leads to increased flexibility, which can be important for optimal performance and to reduce risk of injury. Massages should not replace stretching, but the two together likely have a greater impact of injury prevention and performance than either one alone. The stretching of muscle fibers is a big positive. With the stretching, comes improved blood flow as vessels allow for increased blood to reach the massaged areas. Improved circulation can help with overall oxygenation of the body and can an impact on breathing as well. After the exercise, it can also have impacts on better recovery times. There is even some evidence that massages can help alleviate pain. The relaxation effects of massages, especially deep tissue massages, can also help with improving sleep. Athletes can increase the quality and quantity of sleep, allowing them to better recharge for the next day and to rebuild their muscles are particularly strenuous outings. The relaxation itself has a great effect too of course. The stress relief is a big plus, especially in athletes who are particularly energetic or “type A”. Massages can help the body and mind relax, which is important for sustainability and optimal performance. Because of the myriad of health benefits that massages have for athletes, the athletic massage market is expanding rapidly. Massage therapists are increasingly considering the arena (both literally and figuratively!) for their practice as more athletes look for that type of service. The locker rooms of professional sports places are full of massage therapists and this is only bound to expand to lower levels of sport. Athletes increasingly understand the importance of keeping their bodies well-conditioned and the role massages can play in that need. It will be interesting to see where the market heads as this thought permeates the culture of various sports and at all different levels. A deep tissue massage once a week can help athletes stay in tip-top shape and perform better both physically and mentally. 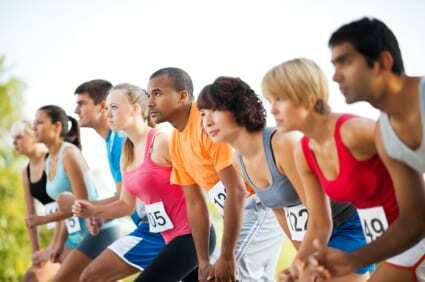 Massage therapists specializing in athletes can be found online or in the phone book. There are many different options and you should do your time on research to make sure you find the right fit for you. It is also possible that your gym or doctor has a recommendation which might work for you. It is all about doing some research, giving it a try, and deciding from there whether they are a good long term option. It could make the difference between a win and a loss. In our last discussion, we talked regarding different massage varieties and the way they benefit the overall health of a person. Trained masseuse sessions alleviate muscle tension and assist a person to feel calm, relaxed and less stressed out. This is a great way to maintain healthy body and mind. Swedish massage is quite frequent where light strokes are applied on the muscles of the human body. Too much pressure on tissue is avoided and while it’s occurring, the recipient feels absolute comfort and relaxation. Scar tissues are broken down easily and generally help in relieving aches, pain and tension. This massage focuses on relieving pain that mainly results from muscles sprains and nervous system. Posture difficulties, nerve compression and circulation concerns are treated with ease as focus lies mainly on trigger points. Particular body parts affected with pain can get huge relief from this procedure. Sometimes, the recipient might experience pain while undergoing deep tissue procedure because pressure is specifically applied on affected areas including muscles as well as tendons. But after this massage form is finished, the recipient will probably get relief from pain and feel better. This form is perfect for diminishing pain which results from injuries caused by recurring motion most commonly found in sports practice. The kind of involvement in the activity mainly determines the treatment as well as strokes that can be applied. Apart from that, massage of such type increases flexibility as well as help in prevention of injuries over long periods of time. It also helps in speeding up curing of sprains as well as muscle strains. Majority of people would have witnessed this method being performed at many places. The present day hectic schedules take a toll on the body parts and this method relieves stress and tension within a few minutes. The person is seated on some comfortable chair while the professional massages different parts like neck, back, arms and shoulder. A huge expense is not required and the best part is that one feels rejuvenated and lively after undergoing this massage. Here we have provided massage of various sorts which will no doubt benefit a lot of people in this world. In our next discussion some more types will be considered along with their unique benefits. This will assist people with to make an informative decision before they decide to head to some massage parlor.